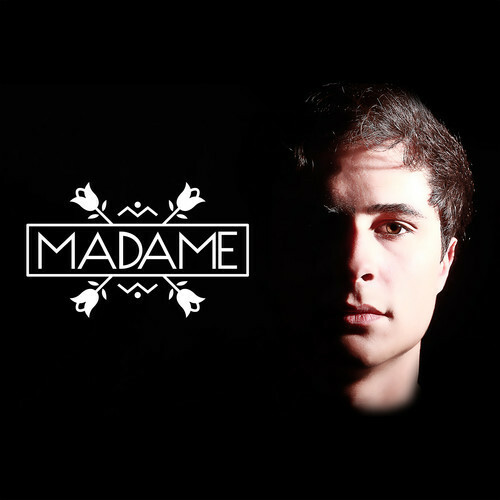 Madame has really made a name for himself in the Techno realm, having his track praised by Alex Metric, Don Rimini, BeatauCue, Sound Of Stereo, AC Slater, Mixhell, and many more. Even DJ Hanzel (Dillon Francis’s Alternate Instagram personality), who notoriously likes to keep it one deeper, decided that Madame’s Tech house song, ‘The Way It Feel’ was worthy enough to play in Hanzel’s BBC Radio 1 essential mix debut (even though they only gave him 30 minuets). Madame hails from Caen, France and his sound seems to be influenced by the emerging and constantly evolving French electro House (In the Meaty and Dramatic sub-bass’d Synths). In fact, one of the beauty about French producers is that they are so entrenched and identified by their electro house origins, that even when they are producing in another genre, such as Techno, the influences are very clear and have the effect of bridging gaps between the two types of sound. ‘The way it Feel’ is one track, as well as the name of Madame’s first EP, that emerged on beatport about 6 months ago. Now before you think to yourself, ‘UGH 6 MONTHS AGO?” consider for a second the rate with which new tracks emerge along with the amount of songs that must be missed and skimmed over. I’m doing you a favor. The other track is called ‘walk back’, and once you listen to it, you’ll be walking back to the end of the line to get another listen. These are techno tracks that suggest big spaces but with the tightest sounds. Like a tuned drum skin – it’s all about the bounce. Music that will both take apart big rooms and squeeze the sweat from the grimiest basement ceilings. - Apollo and his band of merry samples.